Listen to every Scott Aukerman-Ben Schwartz duet from Comedy Bang! Bang! Fans of the Comedy Bang! Bang! podcast know by now that a duet or two with host Scott Aukerman is a sure bet with House Of Pies star Benny Schwaz—which, look, if you don’t listen to Comedy Bang! Bang! and therefore don’t get that reference, why’d you even click on this, Internet? You could be doing anything else—baking a pie, filling out grad school applications, swimming in the ocean, literally anything—with your life right now, Internet. 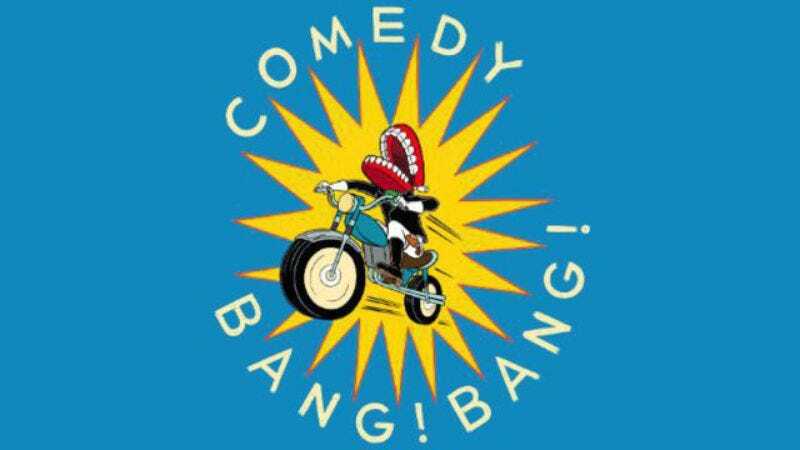 Anyway, Ben Schwartz of Parks And Recreation and House Of Lies fame is a frequent Comedy Bang! Bang! guest, and he and Aukerman have a tendency to break into improvised song or a musical theater rendition whenever Schwartz appears on the podcast. A YouTube user has now put together a nearly 30-minute long compilation of seemingly every time that has happened. The collection is courtesy of YouTube user BabyFaceBren, whose video feed makes for possibly the world’s weirdest mixtape, being dominated primarily by Comedy Bang! Bang! clips and Harry Connick, Jr., deep cuts. But has Connick ever sung, “Tony Danza’s gonna drown you!” to the tune of the DuckTales theme? Thought not! Great job, BabyFaceBren.